When |drive| was contacted in 2015 by David Hill, the former FOX executive, to help him brand his new production company, Hilly, Inc., we were honored to get the nod. |drive| developed a comprehensive identity system including, stationery, environmental/office graphics, and an animated logo signature. 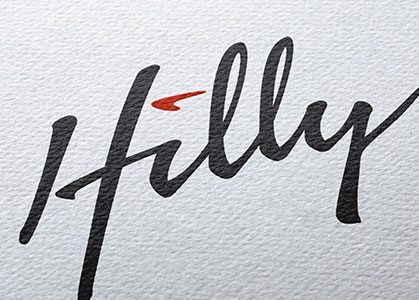 One of the unique aspects to the Hilly logo is the “boomerang” accent which dots the letter “i”. This subtle, yet appropriate, detail hints at Hill’s Australian heritage.